Celebrate friendship with fruits, colours and rigour! Bring your friends and run the 10 KM like a cool summer breeze; or walk it while singing along to island tunes with a drink in your hand. Life is a party, come share special (sweaty) memories with your best mates! Limited to 2000 runners only - hurry tickets run out really fast! First 200 runners to form a happy family. Stand a chance to win cash prizes totalling up to RM 10,000. 1. Any online registration that is not followed with online payment will become invalid registration. Therefore please ensure to pay online when you register online. 2. No refund will be made for wrongful or multiple registration. 3. Substitution and changing of categories is NOT allowed, so please select the category youre eligible to sign up according to the age qualification. Otherwise you will have to re-register. 4. Payment confirmation will be sent via email for successful registration. Runners may produce the email copy or simply show IC/Passport to collect Race-Kits. 5. Postal entries are not accepted. Collection of T-Shirt and Running Bibs. 1. 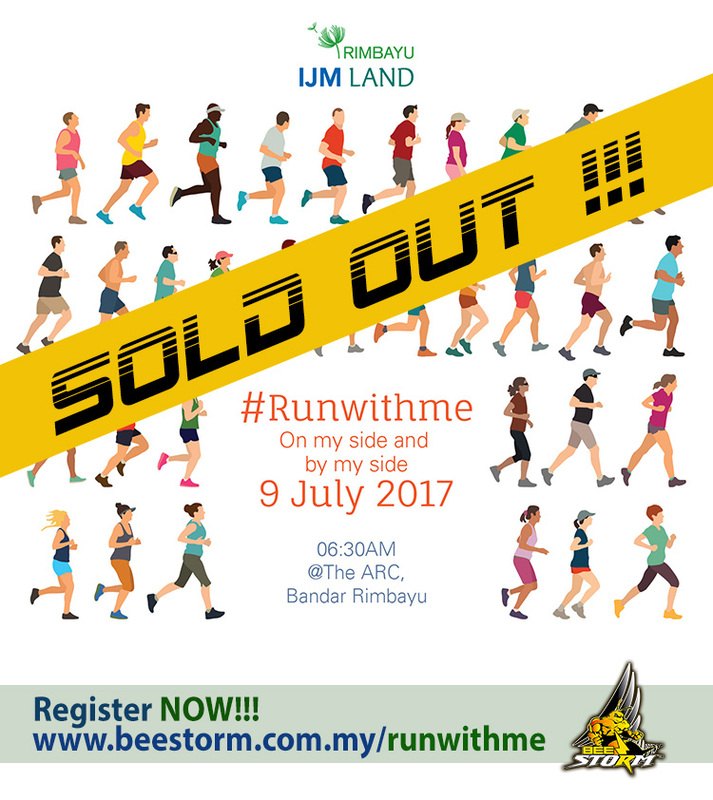 Collection of t-shirts / bibs and other entitlements shall be held on 1 July 2017 (Saturday) and 2 July 2017 (Sunday) at Bandar Rimbayu Show Galley from 10 AM to 5 PM. 2. 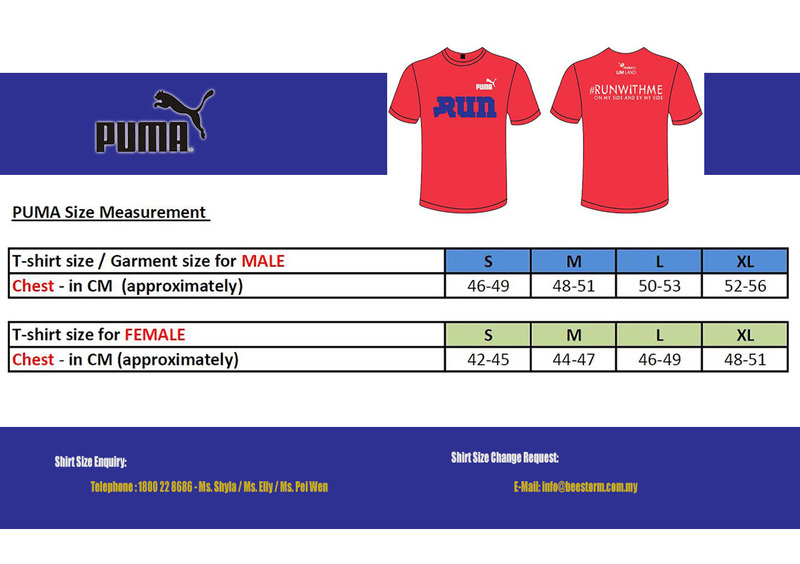 The organizers will try to fulfil the t-shirt sizing indicated by participants on the entry form. However, it is not a guarantee that participants shall be provided the correct sizes if any discrepancy occurs that is out of the organizers control. There shall be no size exchange allowed during the collection day. 3. There will be NO collection held on the event day itself. 2. 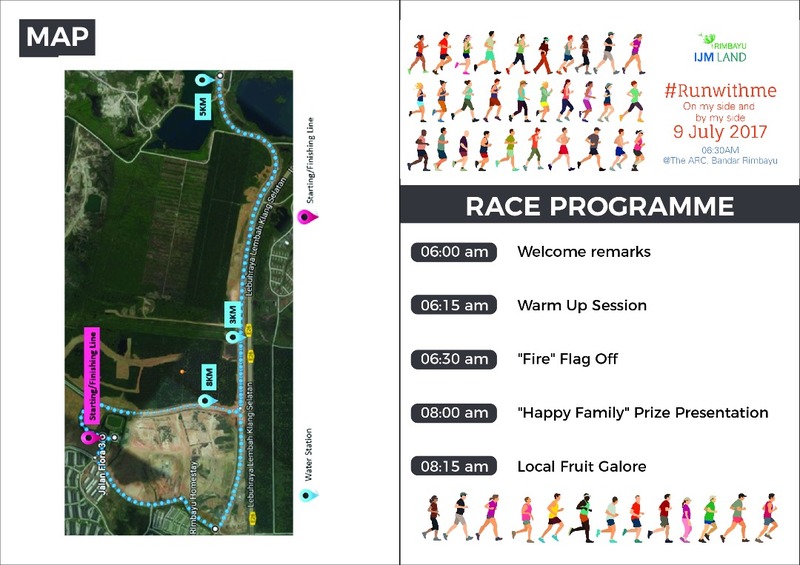 All runners must be at the starting line at 6:15 AM with flag-off at 6:30 AM. 1. The organizer shall not be liable for any loss and / or damage, whether personal or otherwise, to any items contained in the bag deposit. 1. Route will be revealed prior to the event. 2. Runners must follow the route at all times and are not allowed to divert or take short-cuts. Participants who do not follow this will be disqualified. 3. Please follow the directions given by officials along the route at all times. Officials have the right to disqualify runners at any point along the route for not following the rules. 1. The finishing point will also be at Bandar Rimbayu Show Gallery. 2. 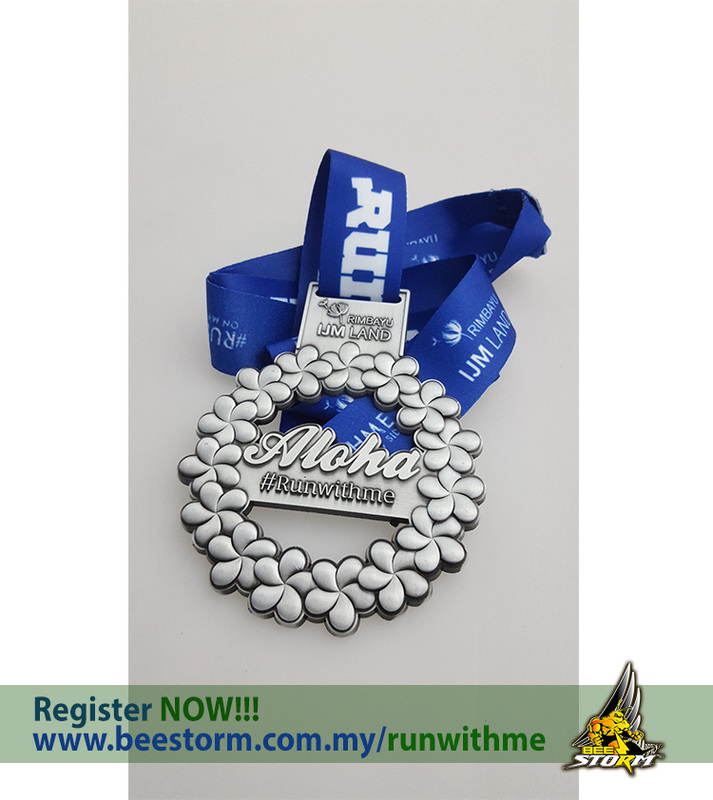 Upon completion, participants are required to show their race bib in exchange for goodies bag and medals at their respective counters. 3. 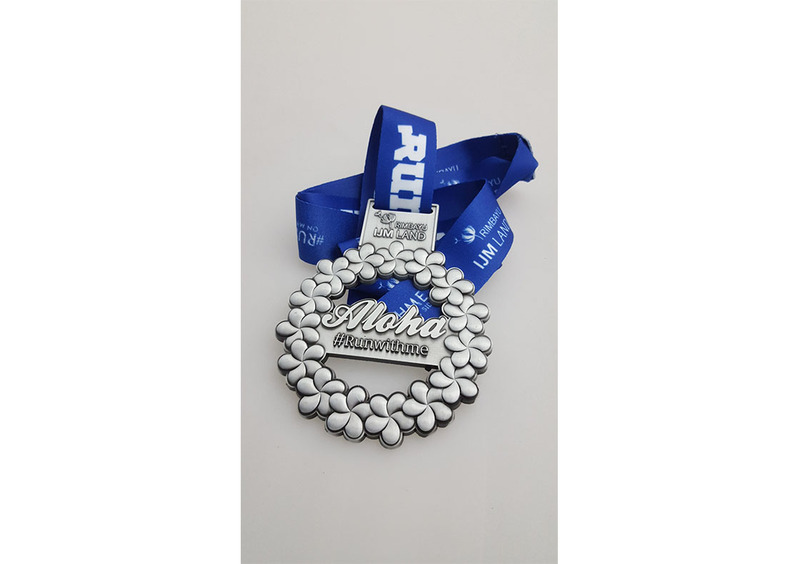 Finisher medals are required to redeem on the event day itself, failure to collect on the same day shall be considered as forfeited. 4. Please do not crowd the finishing area and make your way to the drink or rest areas as soon as possible. 5. 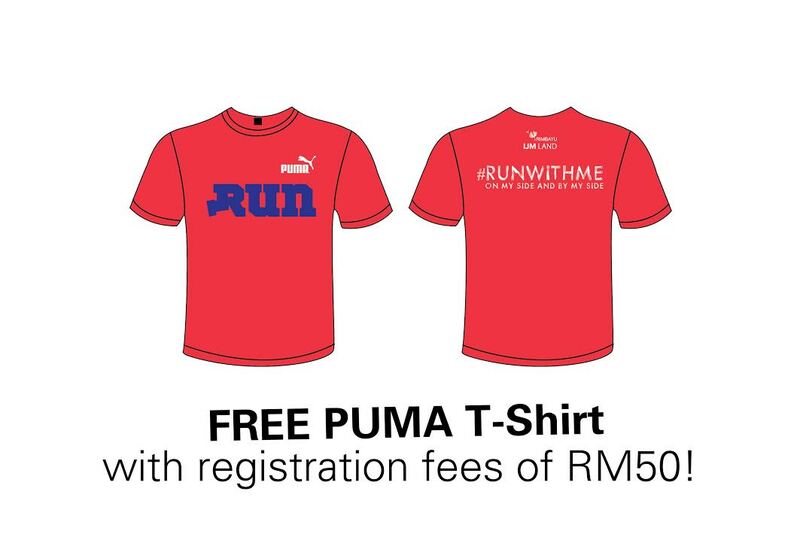 First 200 runners to form a Happy Family stand a chance to win cash prizes totalling up to RM 10,000. 1. As a precaution, all participants are advised to undergo a check-up one month prior to the date of the event. 2. Medical assistance where possible, organizers shall attempt to have medical teams along the route. However, participants are requested to take care of their own safety before, during and after the event. 3. In the event that participant requires medical assistance, please seek help of the nearest official. 1. 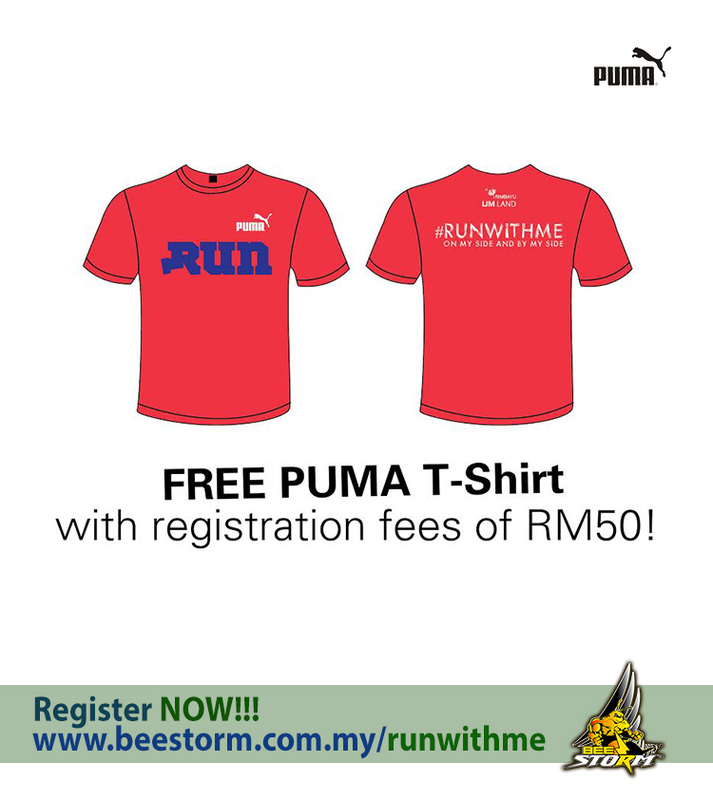 Participants are required to run on the road except as directed by the official or police. 2. Unauthorized vehicles are NOT allowed to accompany the runners. 3. Pets, bicycles, in-line skates, prams, push carts, shoes with built-in or attached rollers and any other wheel-run objects are not allowed on the course other than official race and medical vehicles. 1. This is only a guide and organizers are not responsible for any injuries, losses, damages, death and other undesirable occurrences before, during and after the event. 2. The organizer reserve the right to amend and / or make changes to the event rules, terms and conditions, race routes and / or other arrangements as they deem fit / appropriate, to cancel, to postpone or reschedule the event date to a later date for the safety of the participants and / or to prevent any potential hazards in the running of the race, at any time without prior notice to the participant. In such cases, every effort will be made to inform the participant prior to the date of the race. The organizer shall not be held liable for any loss or inconvenience caused due to such changes. 3. Cheating is absolutely abhorred. These will be duly disqualified. 4. All participants, crew and staff must display courtesy, good taste, decorum and sportsmanship at all times. 5. All decisions by organizers are final and no disputes shall be entertained.